Barium atom, with element's symbol, number, mass and element type color. Lutetium atom, with element's symbol, number, mass and element type color. Thallium atom, with element's symbol, number, mass and element type color. Lawrencium atom, with element's symbol, number, mass and element type color. 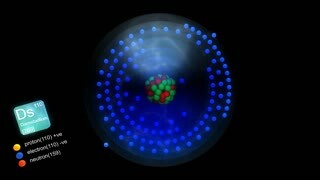 Seaborgium atom, with element's symbol, number, mass and element type color. Darmstadtium atom, with element's symbol, number, mass and element type color. Ununtrium atom, with element's symbol, number, mass and element type color. Erbium atom, with element's symbol, number, mass and element type color. Lead atom, with element's symbol, number, mass and element type color. Iodine atom, with element's symbol, number, mass and element type color. 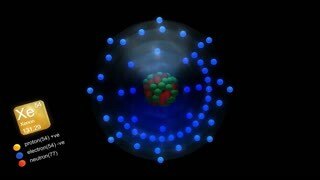 Niobium atom, with element's symbol, number, mass and element type color. Xenon atom, with element's symbol, number, mass and element type color.